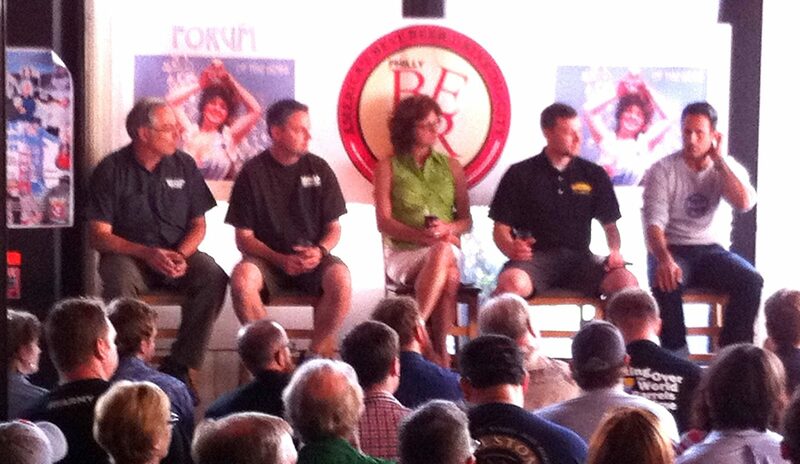 What did I do “on my summer vacation” — meaning of course this year’s Philly Beer Week? Well, I started out in the ‘burbs on Friday the 3rd at the surprisingly bona fide Uno’s Chicago Grille in Newtown Square for IPA night – they have a very good selection and the servers are very nice. Really fell for the Mongo Imperial IPA from Port Brewing, though all the usual suspects were enjoyed readily. On Saturday the 4th started early at the Continental at 2nd and Market for the chocolate bacon stout with bacon waffles (with bourbon maple syrup). 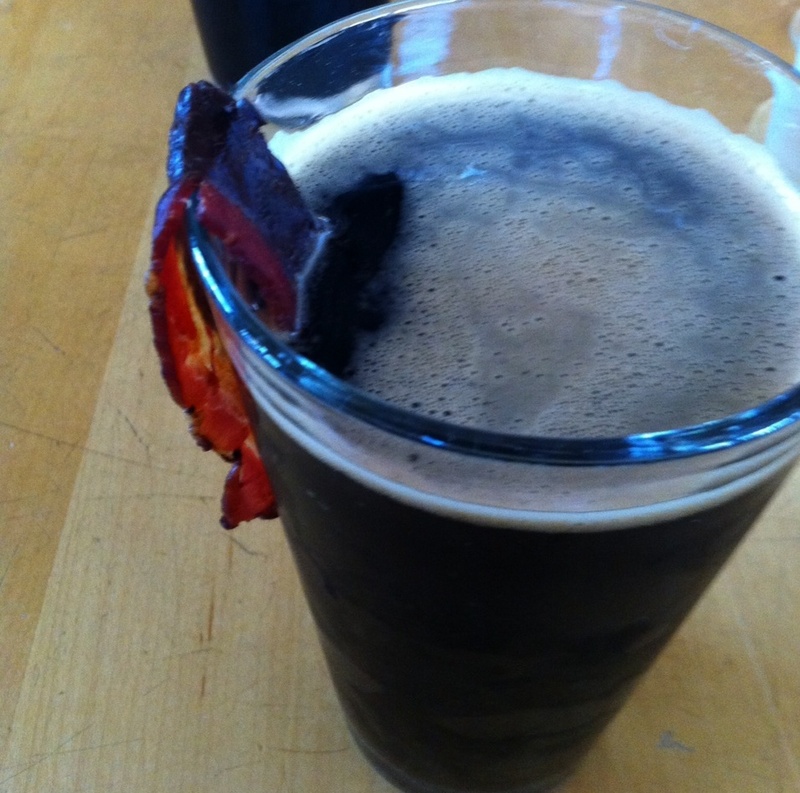 The stout from the new Prism Brewery was very good, and the chocolate dipped bacon garnish was fun at first, though after things warmed up a bit, it smelled a bit less than “beer-ish”. Can’t get too much bacon though. Monday night it was back to Uno’s for Dogfish night and luscious Burton Baton – a personal favorite that is worth searching for. Wednesday night was the Oakmont Cup home brew competition at the Oakmont pub, noted in my previous blog post. With one AC unit down, that was indeed a draining experience. I needed a couple of days off, but rounded it all out Saturday afternoon with a visit to TJ’s Everyday in Paoli and then that night with the non-PBW “Media Blues Stroll”, catching great live blues at various spots in Media until early Sunday AM. There were lots of other events I would have liked to have been part of, but I did have my day job to manage, so had to be careful to make it though the entire work week. I hope you all enjoyed the PBW events, please let drop me a note and let me know about your experiences! Next year I may just take the week off so work doesn’t distract me.